Derek and the team at Crystaltech are thrilled for the business to have been shortlisted for a prestigious Catering Insight Award in the Service & Maintenance Provider of the Year category. Leading up to this point, the last 12 months have been a busy time for Crystaltech with an exciting new product development, an increase in new clients and investment in equipment and personnel which has resulted in a 45% growth in turnover. The business takes approximately 4,000 service visits per month with a nationwide team of just over 60 fully qualified and accredited engineers. Investment to add an additional £285k worth of van stocks for specific manufacturers has significantly increased first time fix rates and reduced the need for second visits. 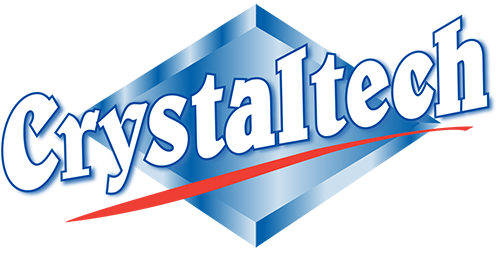 Warewashing technical expert Derek Maher and his wife Maxine formed Crystaltech in 1980. Derek has been a pioneer in attaining superior glass and dish washer machine results in the catering and pub industry now, for over 38 years. He has led the way for many of the leading pub companies to achieve award winning clean glass results throughout their estates and has been outspoken within the industry for taking a different stance on machine maintenance programmes which has helped large catering and retail outlets to significantly save money by reducing call-outs and improving machine longevity. Through investing in innovative technology, Derek has enabled his team of engineers to be able to solve the most obscure warewashing problems and identify bacterial contamination of machines and at water source, with immediate on-site results. “We are delighted to have been shortlisted for the award and it validates the hard work of the entire team at Crystaltech. As a maintenance specialist we are constantly looking to improve the efficiency of warewashing chemicals and were pioneers in the revolutionary development of a liquid renovate which can be connected to the automatic detergent feed of a glass washer. We are currently successfully trialling a new chemical process which will be able to tackle all types of residue (grease, starches and tannins) with one treatment and remove the need for pre-soaking – a first in the industry!” commented Derek Maher.